Phone system technology has advanced considerably in recent years. Innovation within the telecom industry now means the way we communicate both at work and in our social lives is now almost unrecognizable from just two decades ago. Does My Business Need a Multi Line Phone System? 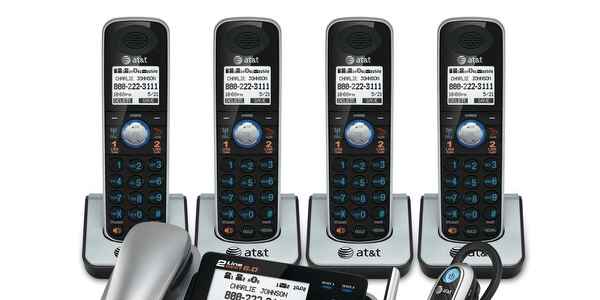 How Do Multi Line Phone Systems Work? Traditional multi line phone systems were operated using a physical switchboard that directed callers to the right phone line; or simply through the placement of multiple phone sockets around an office space. However the technologies that support multi line phone systems today, offer greater flexibility, improved call quality and have no need for vast amounts of equipment. This can be a huge advantage for your business if you’re looking to compete with larger competitors with the use of a multi line system. Keep reading to discover some of the best multi line phones that are available to buy right now, their top features, and how to choose the right one for your business. You can also use Tech.Co’s price comparison service to get free quotes matched to your business needs- just click the link below. One important consideration to make when choosing the best multi line phone system for business is to remember it often doesn’t matter how many lines you have into your business, the important factor is integrating your phone system with key business processes. A system that is surplus to requirements or doesn’t support your business as you want it to will not only cost you a lot of money but it will waste resources too, something no business can afford. Working with a dedicated phone system provider will help you understand your business processes in detail and what type of system you would benefit from. With a multi line phone system, the cost of calls are usually much lower than a standard phone line, this is usually because many of the multi line systems now operate through the internet. In addition, telephone numbers are hosted in the cloud so you don’t have to pay costly line rentals and all the system hardware and maintenance is taken care of by the provider leaving you with more time to focus on your business than worrying about a complex technical glitch with your phone system. Multi line phone systems can be routed quickly which increases customer satisfaction and frees up employee time so they can work on other things. When a business needs to grow, more lines can be added to the system without having to install a whole new phone network. It also conveys a greater degree of professionalism having a dedicated phone number that customers can contact rather than simply a mobile number. Many multi line systems are extremely flexible allowing businesses to add or remove numbers, integrate voicemail, set up call forwarding and much more, offering a far greater range of services than a standard phone system. If you have a remote team, a multi line phone system can improve collaboration and maintain communications. Calls can be re-routed to their mobiles meaning that calls don’t go unanswered. Using a multi line phone system gives customers confidence. They will recognize that you have a good set up and a strong team who are responsive to customer service requests. Phone lines can make a significant impact on your day to day business operations. Never miss a call. If you’re busy, customers can leave a message or be routed through to the extension of a colleague. As the name suggests, a multi-line phone takes the line coming into your business, and splits it into multiple lines, allowing two or more phones to be linked at once via the same connection. The upshot of this is that it allows businesses to set up an internal phone system without the need for installing new phone lines at considerable cost and inconvenience. With a multi-line phone, there’s no disruption or extra ongoing expense, and employees can each be given their own extension number, as well as being able to pick up calls internally should their co-workers be unavailable. They also introduce new features, such as call management to answer and direct calls to the relevant person, or the ability to take messages when nobody is available. Multi-line phones can be connected together to create a network, with one phone plugging into the next, or with each phone connecting to each other via an internet connection. When managing a business you need a phone system that you can rely on, and there are several factors that you should take into consideration. These can be as simple as getting the right telephone number and area code, or as important as how much it’s all going to cost and whether you’ll be able to address more complicated business requirements by incorporating features such as voicemail, call divert and caller display. Any type of multi line phone system whether it’s has a two line or four line capacity would bring a number of benefits to your business because they can significantly improve communication channels, support your existing processes and are flexible enough to adapt as your business grows. But you should take care to choose a multi-line phone system that suits your growth strategy, to future proof it as much as possible. So let’s take a look at each of the multi-line set ups: 2 line, 4 line and cloud-based. 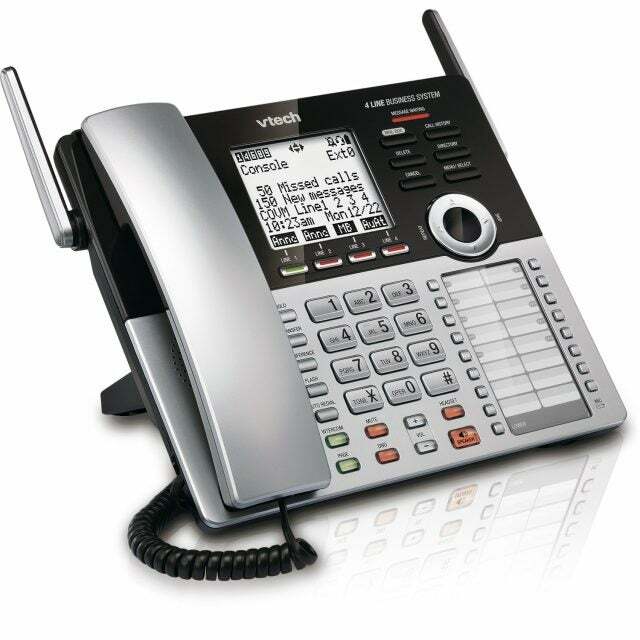 2 line phone systems are ideal for a small company or home-based business owner. They feature a range of functions such as auto-attendant and call forwarding but can keep business and personal calls separate. A 2 line phone system will have two separate lines, voicemail inboxes and telephone numbers, which can be connected to the same device. Popular with start up businesses or companies who are in the early stages of growth, two phone lines can prove crucial to enhancing customer service and improving communications. A 2 line phone system will offer a range of benefits to both small start up businesses and medium sized enterprises. A business can enjoy multiple benefits associated with such phone lines because there are multiple ways of handling and processing calls allowing a business to deal with two calls at the same time. This not only facilitates multitasking but it makes a big difference when handling your day to day operations. 2 line phones are also popular with home based businesses because they allow business and home life to be kept separately. As technology continues to develop, telephone lines are becoming more advanced with the 2 line system being just one of the many improvements in telephone communications. As the years progress, VoIP technologies will continue to develop and other systems will be launched which offer a greater choice of options to communicate effectively with colleagues, customers, partners and suppliers. Small business owners are more likely to use a 2 phone line system because these types of business are usually in the early stages of starting up and may either use a small home office to manage the day to day operations or work within a shared office. A 2 phone line system will avoid receiving work phone calls on a personal home telephone number. Larger businesses can also use two line phone systems to manage different areas of their business such as one for general customer inquiries and then another line to handle technical queries. However within a larger businesses it is not unheard of for there to be a four, six or even twelve line phone system which has been installed to serve more complex communication requirements. 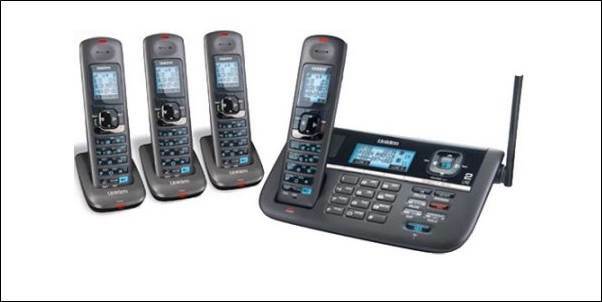 There are many 2 line cordless phone systems available if you are looking for a more flexible communications option. Employees in the healthcare industry, as well as those in construction and other types of shift work can benefit the most from a 2 line cordless phone. To read more about plenty of indoor and robust outdoor options please view our cordless phones guide. 4 line phone systems are often used for larger businesses or those with small teams, so that each member of the team can have their own telephone line and make use of it while other people are also making and receiving calls. Having a 4 line phone system means that four employees could be on the phone at the same time. However, up 16 phones could be connected to a 4 line system. So it is important to consider how many phone lines your business usually needs simultaneously, not just the number of phones you’d like connected, before you start purchasing anything. Otherwise you could be investing money in extra lines that will go unused. 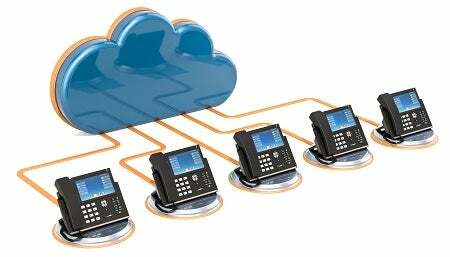 Today, many businesses are favoring cloud-based, sometimes called Hosted VoIP-based, virtual telephony systems for multiple users, instead of regular multi-line set ups. There are many advantages to these, not least of doing away with traditional phone set-ups and replacing them with a virtual network which can be considerably cheaper, accessed anywhere, and be used on existing hardware such as computers and cell phones. Cloud based systems are also much more versatile and scalable, with no physical limitations on how many lines you can have. You can adapt the number of users from 2 to 4 to over 100+ quite easily because multiple virtual lines do not need to be installed and uninstalled. This allows your business to be much more flexible and meet your customers needs quicker. Whatever kind you choose, your business phone system is an essential piece of kit. Multi line networks can offer greater flexibility and with dedicated lines, business can come across as being more professional and organized which leaves a great impression with customers. This multi line phone system includes the DECT 6.0 technology offering businesses clarity in terms of communication and long range coverage. Supports a 2 line answer system and features a caller identification and can store up to 14 minutes of digital recording on each line. With a convenient and practical tilt base it has an easy viewing angle to clearly see who is calling and who has called. Great for a busy household or a home office worker allowing you to store 50 contacts. Intercom facilities are also available. A sophisticated multi line phone, this model can be easily paired with your smartphone, enabling calls to me made on your cellular plan, whilst speaking from the comfort of the landline. Not only that, but Android users can be updated when they receive a message or call via the handset, which will beep and display the type of communication received. The compatibility with smartphones means this is a good choice for businesses that are heavy cell phone users. Not only that, but the 6,000 number directory means you always have the details for every customer at your fingertips. This phone supports four lines, meaning that juggling calls for your business is a breeze. It also allows for conference calls with up to three people- useful for companies who don’t need a full blown conference phone system but would like the option from time to time. A good choice for those looking to grow, this system can be expanded to up to 16 base stations as your business takes off, while remaining affordable. You can feel confident that you’re getting crystal clear quality from this multi line phone, thanks to its DECT 6.0 technology, and the noise reduction feature means that your customers won’t have any trouble hearing you. The ability to extend the system with up to six handsets gives smaller businesses some scope to grow and the full duplex speakerphone enables hands free chatting. 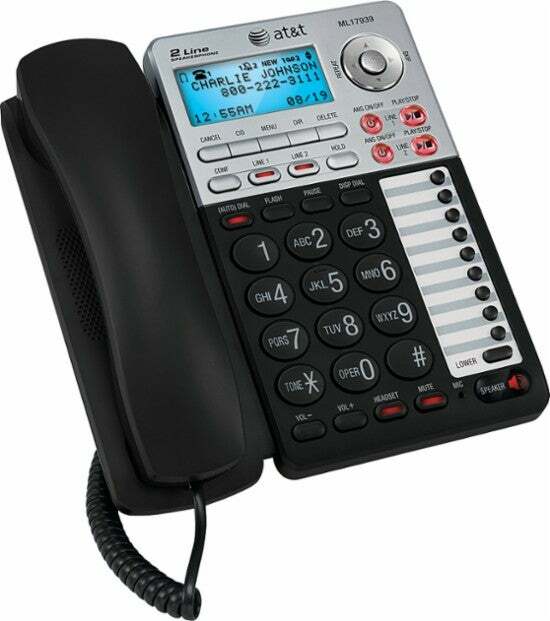 An inexpensive phone system for businesses looking for a multi line system with plenty of features and compatibility with extra handsets. 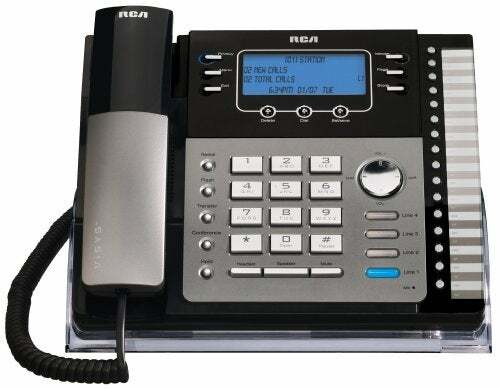 Expandable up to 16 handsets the RCA 4-line phone system model offers businesses a feature rich handset as well as added flexibility and enhanced sound quality. An intercom function allows for convenient 2-way conversations between users in the office, without using the phone line. A stylish design means this handset won’t be out of place in even the most modern of offices. This along with a range of top features and great price point make it highly cost effective. Adopting DECT 6.0 technology, calls will sound clear and interference-free, and the auto-attendant for each of the four lines means that your clients calls will be answered even if you’re not available. The system can provide callers with a company directory, forward on calls to an extension number, and lets callers leave voice messages, with a capacity for up to 180 minutes in total. Expandable up to 10 stations, and able to store the details of the last 50 callers, this phone means that you won’t lose any important call to your business. Businesses and callers can enjoy the advanced call quality of DECT 6.0 technology, and it won’t suffer from any interference with wireless networks or other devices. It includes all of the latest security features too – not bad at all for a budget model with a tempting price tag. 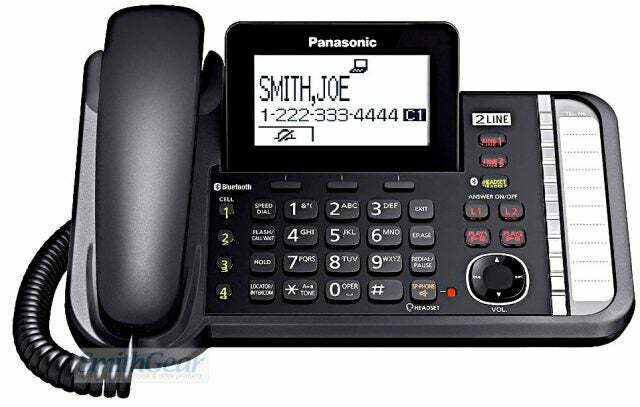 With caller ID features, call waiting and a host of other useful functions, this phone is an ideal choice for any business. A leading brand in the electronics world, the VTech phone is both expandable to incorporate 12 handsets and comes with DECT 6.0 technology. A battery back up means that you won’t miss a call even when the lights go out. The KX-TG958 offers 75 minutes of power, allowing you to continue making and receiving calls during a power outage. Compatible with Microsoft Outlook, simply connect this phone to your PC to make calls with just a click. It is also compatible with up to four smartphones, meaning you can make and receive mobile calls from the handset. With DECT 6 technology, calls will sound clear and vibrant, and the system can be expanded to up to ten handsets when needed. 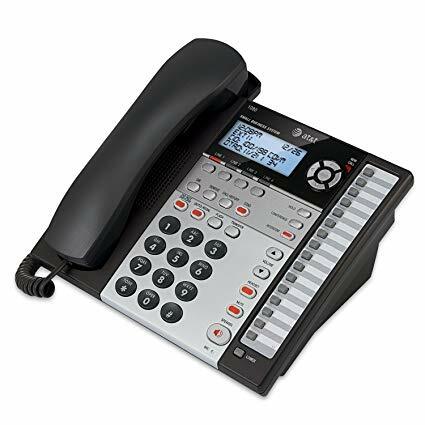 A 2-line corded phone, this model is expandable to up to 10 handsets, making it perfect for businesses who may expand in the future. The three way conference feature allows you to have important meetings without the need or expense of face to face meetings, and the large blue screen makes it easy to see who’s calling you, thanks to caller display. The 100 phone book memory means that you won’t lose the numbers of important clients, and the 30 minute answering system will record those messages that you miss. 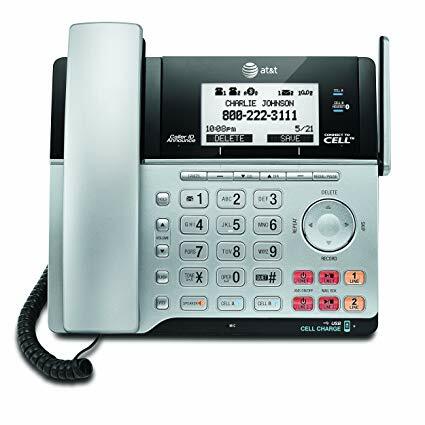 The AT&T ML17939 2-line phone is designed for new businesses, providing a range of features that improve productivity and the overall communications process of operations. These include three party conferencing, for carrying out meetings or catch-ups over the phone, a virtual phonebook with capacity for 100 contacts, and backup so you won’t lose important data in a power outage. 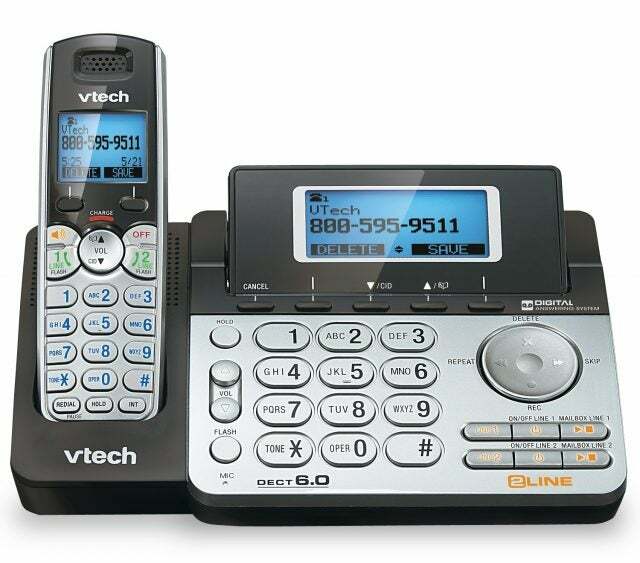 This cordless 2-line phone system offers added flexibility for businesses and can aid collaboration with callers no longer confined to their desks when making or receiving calls. 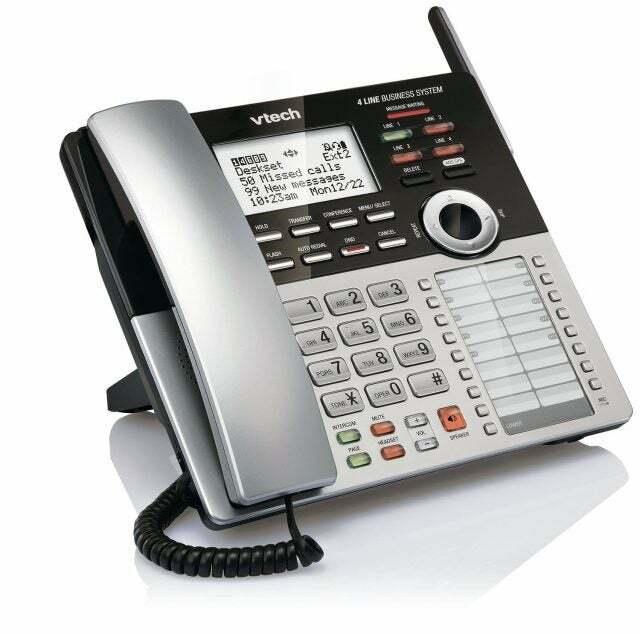 Visit our VoIP phones guide for more information on cloud-based options for small businesses. 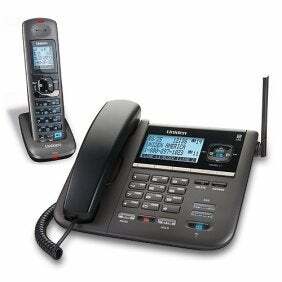 Multi-line phones are an essential bit of office equipment for any business, no matter how small. The question shouldn’t be can you afford to have a multi-line phone, but can you afford not to? As the models above show, prices start from a reasonable $70, and can be expanded as your business grows. Get tailored price quotes for your business today to find the best multi line phone system deal.